Leave the fog of Dunwall behind from the coasts of Karnaca. Join Emily and Corvo on their new quest for revenge. 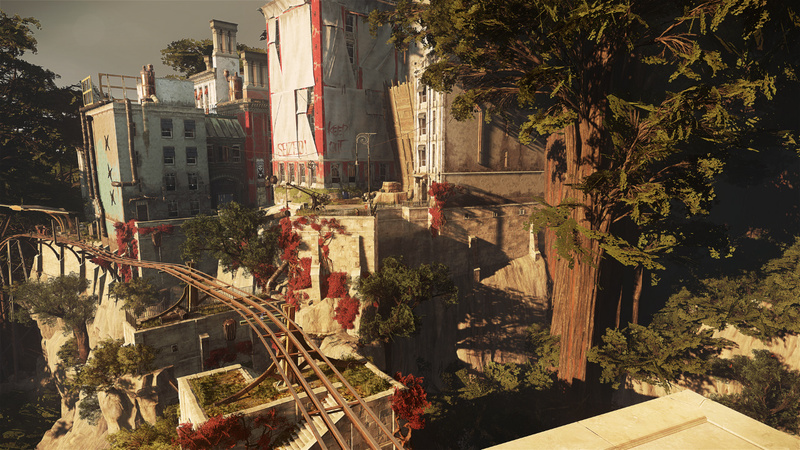 Dishonored 2 is a stunning return and improvement for the series. Arkane Studios has pulled off what some studios fail at: realizing what its series did right the first time and doubling down on that, while also providing some new flavor. Arkane throws the player into several huge sandboxes, offers up some interesting tools, and simply tells you, "Get to point B." It's a stealth-action game, but at heart, it's also a freeform puzzle game. 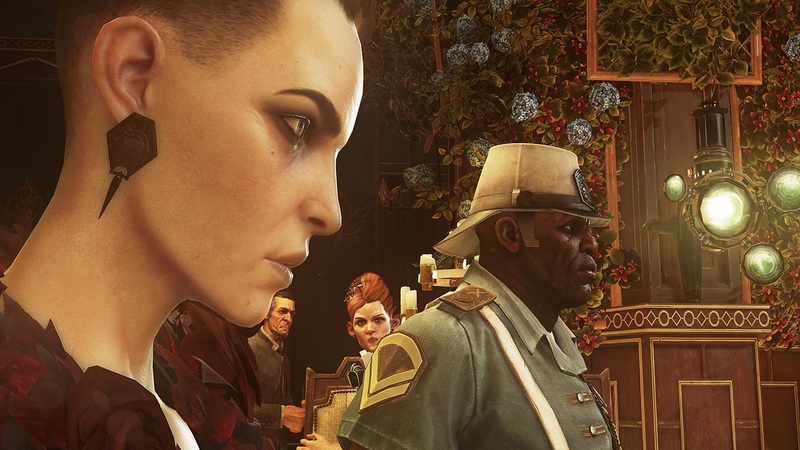 Dishonored 2 picks up many years after the first Dishonored ended, starring the family whose luck is equal to Game of Thrones' Starks. Fifteen years after the death of her mother and her kidnapping, Emily Kaldwin was grown into her role as the new Empress. Beside her is the Lord Protector Corvo Attano, the star of the first game and Emily's father. After a decade and change of solid ruling, a scary witchy lady named Delilah shows up saying she's the true Empress, forcibly taking control of Dunwall. Dishonored fans will recognize Delilah from the Dishonored extended content, The Knife of Dunwall and The Brigmore Witches, making that DLC almost necessary for experiencing the full scope of the sequel. 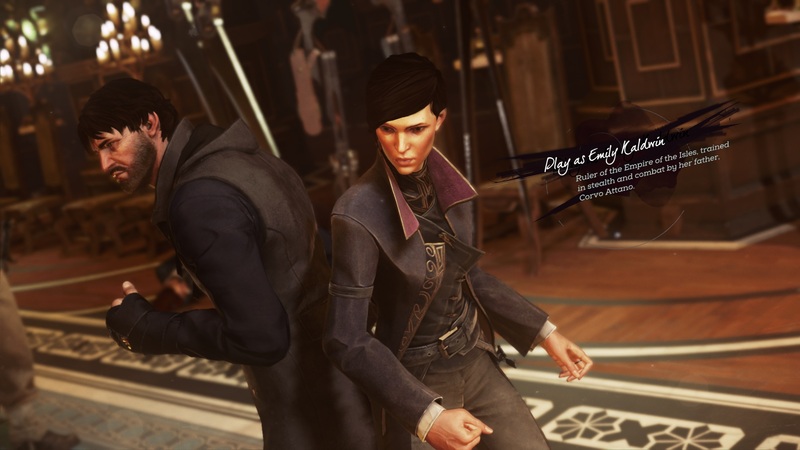 In the battle, you're forced to choose whether you'll navigate Dishonored 2 as Emily or Corvo. The one you don't choose is taken out of play for that game. I feel like Emily's story reflects where Arkane Studios really wanted to go with Dishonored 2. It feels like a progression of the overall Dishonored story, with Emily attempting to take back her throne and birthright. Playing as Corvo narratively feels like a retread of the first games: take out the bad guys and get your daughter back. Showing up late to the father-daughter dance. Corvo is Dishonored 2's hammer. He can possess corpses and rat swarms to flow over enemies with overwhelming damage. Bending time is back, acting as a force multiplier for your crossbow, pistol, mines, or dagger. Blink remains Corvo's bread and butter, letting him teleport short distances. Dishonored 2 is a stealth game, but Corvo is the direct option. In contrast, Emily is the scalpel. She's Dishonored 2's trickster. Her Mesmerize allows you to put enemies into a daze for a short period of time, while Shadow Walk turns her into a living shadow to hide outside of cover. Doppleganger can send enemies on a wild chase with a ghostly double. Emily's version of her father's Blink is Far Reach, which pulls her along a ghostly tether instead of directly teleporting. By far her most enjoyable ability is Domino, which links enemies together; attack one and the other will share their same fate. Domino is a delicious goddamn ability, allowing you to link one enemy to another, push one off a cliff, and watch them both die. I can mess around with Domino setups all day. Emily is the ghost compared to her father. She's all about the elaborate setup. You can also play either character sans powers, if you're feeling masochistic. No matter who you choose, Dishonored 2's stealth core is still solid. Stay in the the shadows and achieve your objectives. It's all about situational awareness, either from careful observation or repeated deaths. You need to draw enemies away from each other, set up traps, distract them with abilities or thrown objects, and find alternate ways forward. 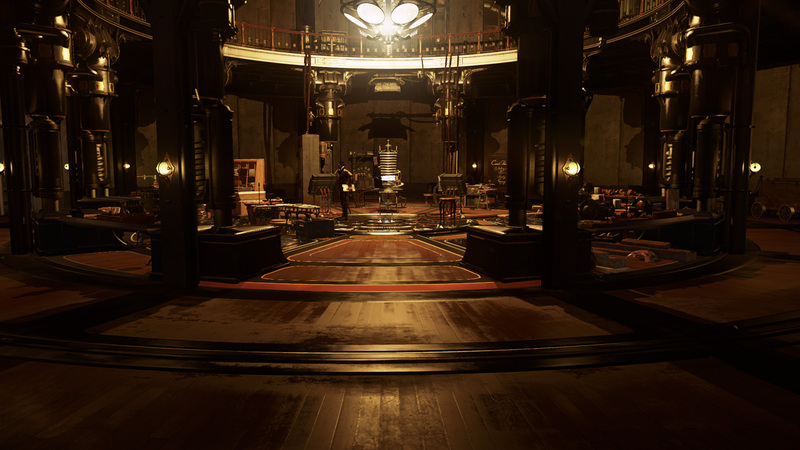 The magic of Dishonored 2 is the setting you are placed in. After an opening level at Dunwall Castle, the game switches to the southern, warm locale of Karnaca, where Corvo was born. Dishonored 2's Dunwall felt like it was carrying forward the aesthetic sense found in the old Thief games for PC: very dark, gloomy, and fog-laden. There is still a darkness to Karnaca, but there is more variety to the levels. The Clockwork Mansion is one of the standout levels, offering a room-shifting mechanic to throw off the player. Likewise, Stilton's Manor changes the shifts from the realm of physical space, to one of time. These high-concept levels are the high points of Dishonored 2, but every level is superb. These are huge and well-detailed levels, with multiple paths, additional objectives, and a host of collectibles to find. A level can take a player 30 minutes if they power through, but you can expect level playtimes of 2-4 hours if you explore every nook and cranny. You'll want to do that because you're unlikely able to unlock every ability in one playthrough. The Heart returns as a way to find Runes, Bonecharms, and Shrines in each level, but knowing where an item is does not tell you how to get there. You'll want the Runes to level up existing abilities and acquire new ones, but to get Runes, you'll need to dive deep into each level. Beyond the mechanics and structure of each level, each one feels lived in. They feel like places that citizens are currently living in. When you step off the boat into the city proper, the corpses of whales being processed by butchers leak into the clean waters of the city, almost an indication of Karnaca itself. You can see the effects of the Empire on the city and the citizens. There are signs of the Bloodfly plague in every abandoned tenement and home. The Clockwork Mansion strains the sense of realism, but it's such an astoundingly beautiful place that I'm inclined to forgive it. The art team at Arkane Studios deserve every bit of accolade thrown their way. 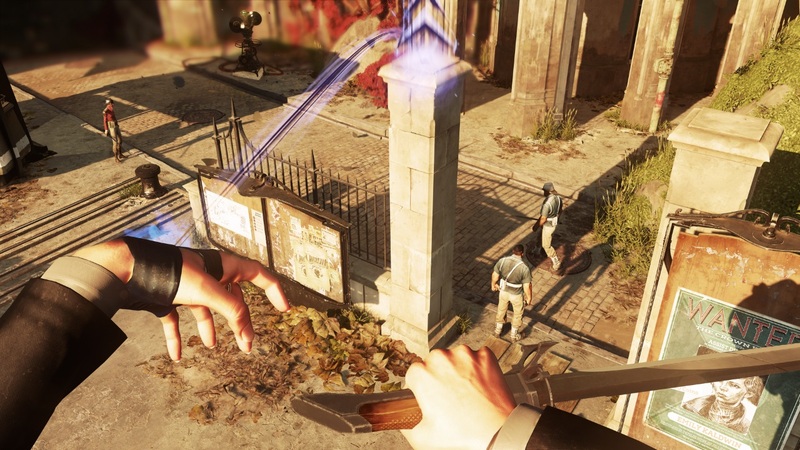 There are many reports of poor optimization and performance for Dishonored on PC. The game currently sits at Mixed on Steam, due to player issues with the PC version. Arkane Studios remains committed to updating the PC version and improving performance. I did not have any issues with my time on the PC version, but you deserve to know if others are having issues. As I note earlier, the story does feel like it's missing some context if you haven't played Dishonored and its DLC. The morality system doesn't quite come together for me either. Killing enemies increases an unseen amount of Chaos, while using the non-lethal takedowns or ghosting a level keeps your chaos low. You can also use the Heart to listen to the thoughts of NPCs, allowing you to mete justice only on those that deserve it. The amount of chaos you have feeds into the game's ending, which changes depending on your overall chaos level, with permutations depending on which named characters you killed or spared. The problem, who is evil seems at random, like the phone profiles in Watch Dogs and Watch Dogs 2. So in the end, your real choice is: Are you going to kill most of your targets or will you play non-lethal? Arkane tried to add some nuance, but it doesn't really work out all that well. I have small nitpicks here and there, but that's all they are. Dishonored 2 is an amazing continuation of everything the first game started. With the first game, Arkane Studios took the crown of heir apparent from Thief. With the sequel, the studio has defined its rule. It's a stealth-action title with some kickass abilities, and some huge, visually-interesting levels. Even if the family of Emily and Corvo doesn't have another horrible day, Dishonored deserves to live on beyond this. Once you've finished your first playthrough, you can try it with the other main character. The soundtrack and ambient sound is pretty great, locking the players within each level thematically. The Arkane Studios engine is beginning to show its age, but the studio does some damned good work with what it has. Arkane Studios returns to the world of Dishonored, with a bigger, badder version of the game they debuted in 2012. Choose between the direct violence of Corvo Attano or the deception and guile of Emily Kaldwin. With a host of amazing power, you'll stealth your way through huge, expansive levels with amazing artistic design. Dishonored 2 is a great stealth-action game and deserves every accolade. Tagged with Arkane Studios,	Bethesda,	Reviews. Horizon Zero Dawn beat out three other nominees for the top video game writing prize.